I’m Ron Smith with La Scala Capital Investments. If you’re looking for a secure way to earn an above average return on investment in the world of Real Estate, you’re in the right place! We locate, negotiate and manage the acquisition of multi-family properties. All of our investments are 100% backed by a solid asset (Real Estate) and without the typical challenges of being a landlord. Our specialty is converting Equity to Income and we may be able to help you reach your investment goals by working with us. Please look around, watch the videos and call me direct for more information. How to have access to unlimited capital for building your Real Estate Investment portfolio? 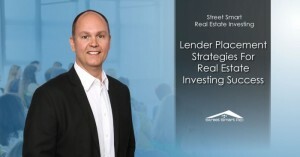 Have you developed a Real Estate Financing Plan? Join Ron Smith to learn ways to maximize your returns, by thinking strategically about where, and when, you secure financing. It's more important than you think.